The Portable Document Format possesses a variety of attributes that are, themselves, more subtle that what one normally thinks of as features. Taken together, however, they describe a format of such flexibility and power that it will define the essential electronic document concept forever. Wikipedia, among others, defines document in terms of content (text and graphics, together in a layout) as it exists at a given moment in time. The need for a sharable electronic document drove the fundamental design of PDF. The format allows pages  that is, a fixed layout of text and graphics - to be shared with total fidelity to the authors intent. However they were made, PDF documents look the same way to everyone. This feature was critical to establishing PDF as a candidate for the standard electronic document format, but it was not enough. Closely related to PDFs ability to reliably share fixed-layout content is the fact that a PDF document may include pages from many (any) different source. Users can (and often do) mix PDF pages produced from MS Word with PDF pages from scanned documents, screen-captures, CAD images and more. No electronic document format could replace PDF unless it was also able to allow users to mix pages together to form the documents (see above) they need. 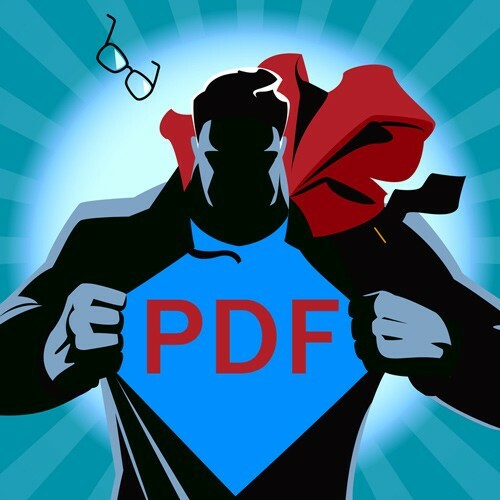 PDF technology is not platform-specific; it works just as well on Windows, Mac, Linux, iOS. The only limitation is the application. Likewise, there are no restrictions or licensing requirements for use of PDF technology whatsoever. The specification for PDF has been published for free since 1993 and an ISO standard since 2008. People are used to PDF; they already use it everyday. Building business solutions on the platform provided by PDF is a good place to look for cost savings and new opportunities to improve business processes. The need to "document" agreements, obligations, decisions, concepts, instructions and publications (to name but a few types of documents) is not likely to vanish. HTML can't satisfy the need for reliable, portable, precise, offline content. Indeed, PDF remains predominant as the electronic file format of choice online, and people search for PDF files more and more. Any replacement for PDF will have to do everything PDF can do already. Developers and technical product managers interested in learning about how PDF features and functionality might enhance existing or enable new processes should join the PDF industry for educational sessions, panels and keynotes at the PDF Technical Conference 2015, October 19-20 in San Jose, California!